Since their inception, the Perspectives in Logic and Lecture Notes in Logic series have published seminal works by leading logicians. Many of the original books in the series have been unavailable for years, but they are now in print once again. Large cardinal hypotheses play a central role in modern set theory. One important way to understand such hypotheses is to construct concrete, minimal universes, or 'core models', satisfying them. Since Gödel's pioneering work on the universe of constructible sets, several larger core models satisfying stronger hypotheses have been constructed, and these have proved quite useful. 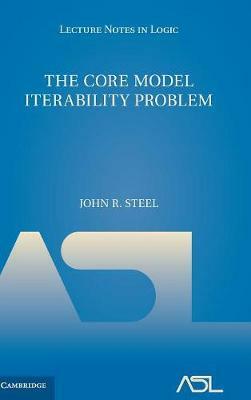 In this volume, the eighth publication in the Lecture Notes in Logic series, Steel extends this theory so that it can produce core models having Woodin cardinals, a large cardinal hypothesis that is the focus of much current research. The book is intended for advanced graduate students and researchers in set theory.